Resist the JTTF in Portland! National and local experts from the ACLU, FBI, US Attorney’s Office, others TBD- Council work session. Ellen Osoinach (503) 823-4047 is the coordinator. ACLU of Oregon welcomes Mike German, ACLU Policy Counsel to speak about our opposition to rejoining the FBI’s Joint Terrorism Task Force (JTTF). Prior to working for the ACLU, he spent 16 years as an FBI Special Agent specializing in counterterrorism. Tuesday, February 15 from 5:30 – 7 p.m. Free! Portland Says NO to the JTTF! Thursday February 24th Details to follow soon! 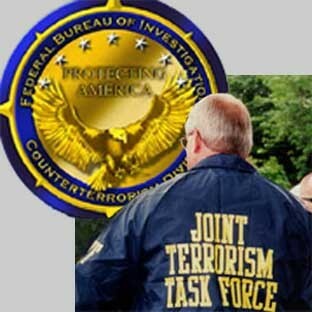 This is an action planned to oppose the Joint Terrorism Task Force (JTTF) coming back to Portland. The Portland City Council is scheduled to vote on the JTTF at 2pm on February 24th. We are planning a lunchtime rally with speakers that day, then all interested persons should attend the council meeting and make public comments. Because the Council just changed the time of the vote, we are in the process of changing event details in response. Please contact City Council and tell them why we don’t want the JTTF in Portland. They are elected officials and if they vote for the JTTF then we won’t vote for them! Authorities haven't revealed the targets of the investigation or its exact nature, other than to say it involves activities concerning the material support of terrorism. The shooting of demonstrators in the head with live fire from snipers – which has passed unmentioned by most of the media - marks a major escalation in the level of repression being deployed against the social movement in Oaxaca. "we, as members of US national civil society united in the United States Social Forum 2010, declare that the Zapatistas are not alone and ratify our commitment to be on alert and denounce the grave violations that are happening in Chiapas."